Sorry I haven’t posted in a while. I fell on a slippery tile floor. There were no serious injuries but the pain and bruises, oh my. Try not to do that, okay? 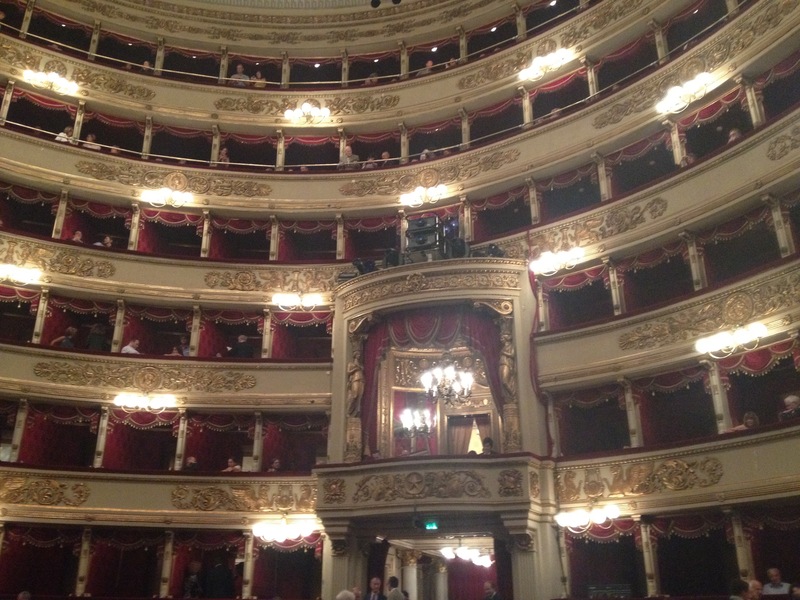 Fortunately this did not happen until after my birthday trip to La Scala, a conference add-on. Someone got many points for managing to get those tickets. Many. We saw a new production of Turn of the Screw featuring my old favorite, Ian Bostridge. I am trying not to think about what a short plane ride it is between Paris and Milan. Paris has opera too, after all. So then I came home and fell in my own kitchen. Bare feet, slippery floor. Traumatic. It took much codeine to get me on the plane to St. Petersburg but I managed to fulfil my accompanying person duties. 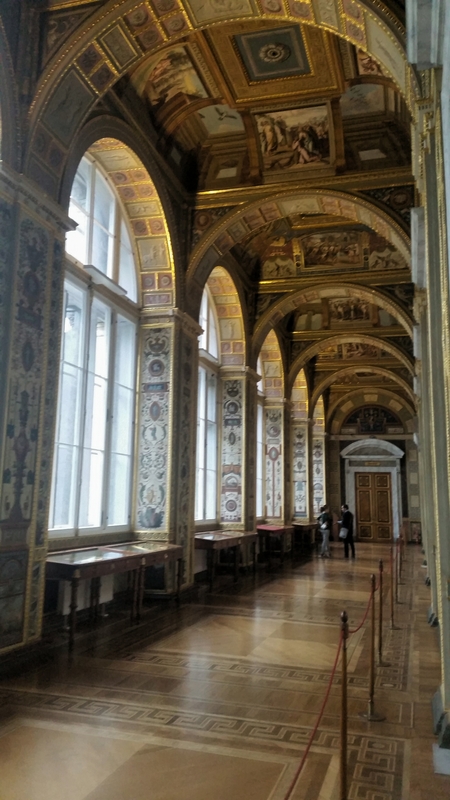 Okay, I skipped out on the receptions, but the Hermitage was calling to me. I live 20 minutes from the Louvre, not a bad museum, as these things go. I could still see checking into a hotel just across from the Hermitage and visiting every day for a week. It stretches over a few huge buildings and is a bit of a rabbit warren but, as you can see, quite an elegant one. The paintings we ignored to keep pace with our guide’s highlights tour would be treasures in most other museums. No, this is not me trying not to think about how much it will hurt when I try to get up. 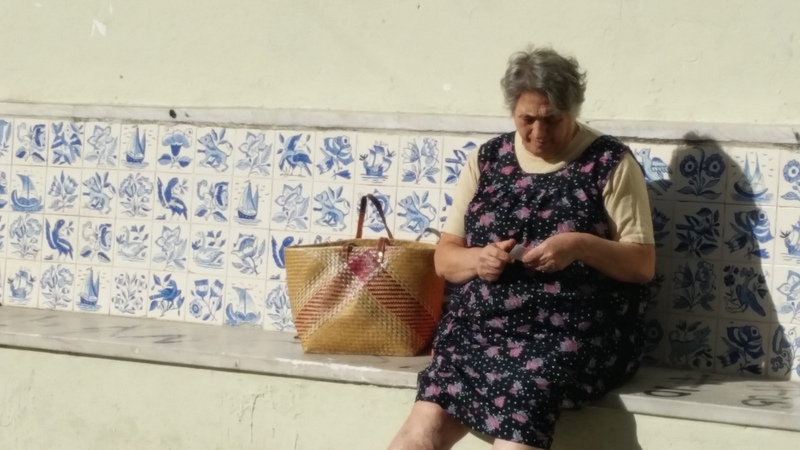 This is some other lady in Lisbon. I was about accompanied out by this time but at least I could get by on aspirin. Lisbon was new to me. It’s a lovely city with fantastic weather. I gather there are severe financial troubles in Portugal but at least people aren’t cold. 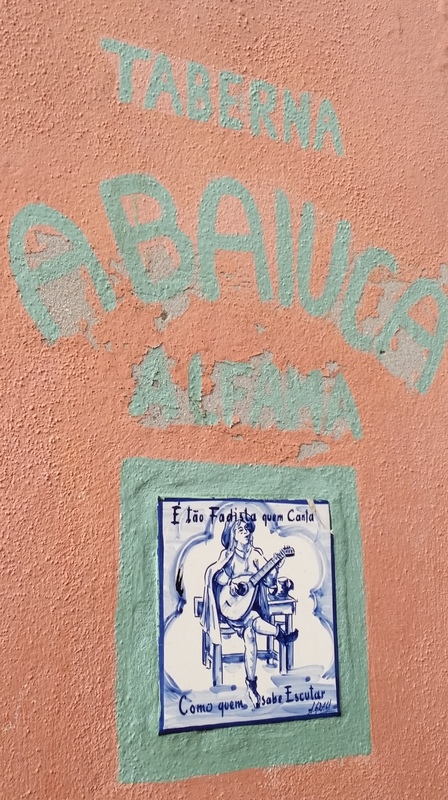 I only wish we had had time for fado. There was enough going on in the last several weeks for several posts but, sorry, I spent most of the time on drugs. I can’t recommend it, not the fall, not the drugs. I’m in the PTSD phase — I actually have dreams where I slip, though I wake up before I land — so I should be able to get back on topic soon. My little country house might be developing into a full-blown country life. If things pan out, I’ll be meeting some interesting people. It is, isn’t it? This was my first visit to La Scala. I will do whatever I can to make sure it is not my last. Accompanying? I read your other posts about this but am no clearer. So sorry to hear you had a fall, but at least you didn’t break anything. Thank you so much. Those are cell phone snaps. I cannot wait for my life to slow down enough for me to pull out my real camera again. Anyway, accompanying. The resident French guy goes to conferences, to which he can bring what they call an “accompanying person.” In this case, that is me. I am pleased that the newer correct term is the much shorter “companion.” That makes me sound like a dog, but I’ve been called worse. So while he actually works I take tours and go to parties. It’s not a bad life until you do three in six weeks. I suppose a more sociable person would love it. No one ever accused me sociability. Never, ever. Aha! It seemed as if there were tours, and I wondered whether you were some kind of supervising adult. “Companion” is undoubtedly more fun. Glad to hear that you were able to soldier on and take in some of the beauty of the world, despite the pain. Photos, as always, are masterful! Thanks. I’m fine, now. I just wish I had time to pick up my actual camera. Cell phone snaps are okay but they don’t really do a place justice. You didn’t notice? I went to university during the “Mellow Yellow” era. I guess it was good training. Bad luck on your fall. It happened to me when in France…same modus operandi….so you have all my sympathy – but I reckon I would have dosed on painkillers too to do those trips. Yeah, codeine, wow. You do what you have to do and it sure beats screaming every time you have to move. But after three or four days it starts messing with your head. Fortunately by the time I had to travel I was down to just one to sleep. You are right. It was a fair trade to see some beautiful places that were new to me. I like Brighton. I wish it weren’t so thoroughly strewn with litter but the basic town looks pretty nice. I had been a little hesitant about going to La Scala. Those audiences, ugh, what a reputation, and they certainly lived up to it. We saw what I thought was an absolutely brilliant production of Turn of the Screw: claustrophobic, scary, every creepy sexual overtone handled just right. My kind of ghost story. They didn’t actually boo but the applause was less than tepid. I didn’t care. I’d go back any time. There seems to be a real snobbery about opera- almost as if someone who doesn’t criticise the performance must be a philistine. I got the same feeling when I went to the Opera in Montpellier with PF, Bigfoot and Rugby-boy. I loved every skin-tingling minute of it, despite having read a review that depicted the whole 3 hours as a punishment. If enjoying a performance means being a philistine, I’m happy to be one too. I know what you mean. I try to stay away from the idea that negative is better, somehow, especially when it comes to opera. Those stories, sheesh, nothing subtle there. You might as well relax and enjoy the show. The young singers are trained to also be good actors, which frees directors to do more than the old-school ‘stand and deliver” kind of staging. Also their vocal technique is generally excellent, which makes it harder to be catty about the singing. I think this makes the general level of productions much higher than before, which I hope makes it harder to be negative. Maybe critics will come around. Meantime, I’m with you; I have no qualms about enjoying a good production. I haven’t skated since I was 10. Now I know why!